Phya Raja Nuprabandh (Pier) had eight wives and twelve children. His five daughters were : Khun Nim, Khun Nien, Khun Plit, Khun Toon, and Khun Ying Mani Siriworasarn (Mani Xenear), who is the only surviving daughter (her mother was Lady Doris). He had seven sons : Khun Preow, Major Luang Raja Nuraks (Thirt), Khun Binn, Khun Lamueon, Khun Thip, Colonel Tin, and one surviving son Oudaya Bhanuwongse who with his sister Mani (Khun Ying Mani Siriworasarn) were born in England. 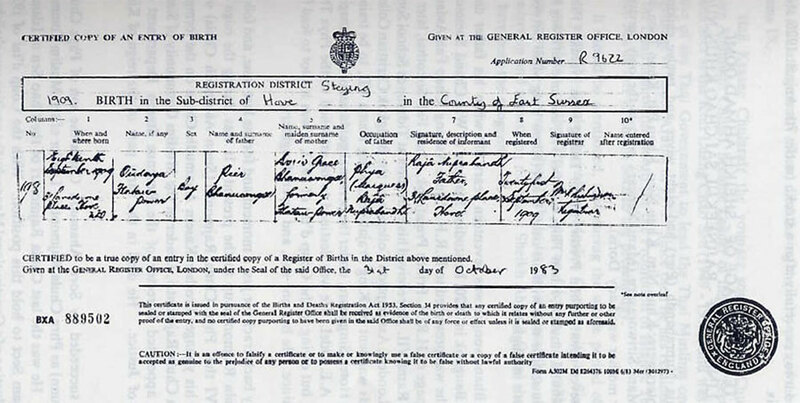 Oudaya Bhanuwongse was seventeen years old when his father died. On arrival in Bangkok in 1920, he studied Siamese at Wat Chand Somosorn School; then he was presented to H.R.H. Prince Asdang, Chao Fah Asdang, he became a page of H.R.H. Prince Prajatipok, Chao Fah Sokothai, later to become King Rama VII. He received his education at Tidmonds School South Kensington, London, Assumption College and the Bangkok Christian College and afterwards was sent by King Prajatipok, King Rama VII, to be trained at the Europe Hotel, Singapore, under the personal guidance of the Managing Director Mr. A.E. Odel. He was destined to be attached to the Phya Thai Palace Hotel, but owing to the Coup d'tat of 1932, it was his lot to fend for himself ever since. He has one son, and seven daughters. If we may-track for just a moment and for the last time, and follow the Phra Chula Rajmontri up to the present. It was during the reign of King Rama VI that Phya Chula Rajmontri (Sunn Ahamudh Chula) was succeeded by his younger brother Kasem Ahamudh Chula on the former's death as Phra Chula Rajmontri, Leader of the Muslim Community of Siam. 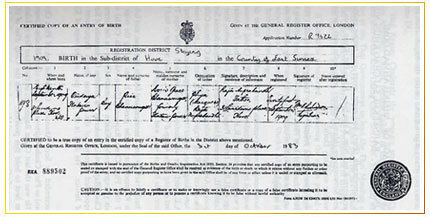 He was also appointed Director of the Revenue Stamp Department of the Ministry of Justice. He died in the early of the reign of King Rama VII. He was succeeded by sorn Ahamudh Chula the son of Phya Chula Rajmontri (Sunn) as Phra Chula Rajmontri - Leader of the Muslim Community of Siam. He was the last Chula Rajmontri of the Chao Sen or Islamic Ja'fari 12 Imam Sect to hold this position. With the Coup d'tat of 1932 and the introduction of a Constitutional Monarchy the position was abolished. Phra Chula Rajmontri (Sorn) died during the early part of the reign of King Rama IX. Haji Krasae Chularatr the younger son of Phra Chula Rajmontri (Sorn Ahamudh Chula), became Leader of the Chao Sen Sect or Ja'fari 12 Imam Sect at the Kuti Luang Chao Sen (1949-1972), and was the representative of the Thai Government to lead the Thai Muslims on their annual pilgrimage in Saudi Arabia in 1973. Since then he has retained the position of the Chairman of the Board for the Promotion of Islamic Teaching of the Chao Sen Ja'fari 12 Imam Sect to the present day. It should be mentioned, that during the whole period of close to 350 years when the Leadership of the Muslim Community in Siam was under the supervision of the Chao Sen Sect no friction, no problems, no conflicts exsisted-a tremendous tribute to the statemanship of the Muslim Leadership and something no doubt Sheikh Ahmad Qomi should be proud to have been the progenitor of.